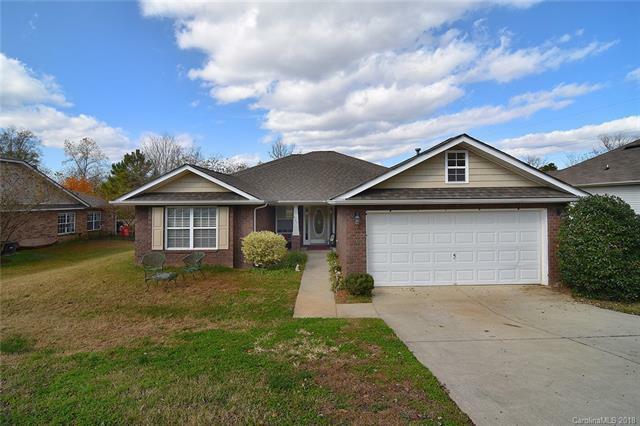 Desirable rare full brick ranch in Creeks Edge. Great move in ready home on a quiet cul de sac street. Fresh paint throughout, great room w fireplace. Spacious kitchen w breakfast bar. NEW dishwasher. Refrigerator conveys. Dining room. Large master suite w sitting area. Master bath w dual sink vanity, separate shower/tub. Secondary bedrooms & full bath. Covered back porch. 4 miles to shopping, low county taxes and easy access to Lake Wylie and Rock Hill. This home is eligible for 100% USDA financing and with use of a preferred lender you could SAVE Thousands in closing costs!